DR About Us: Who Are We and Why Trust Us? We are a family run business that takes great pride in bringing you and your family nothing but the finest all natural, pesticide free products that are grown in the USA. Our products are created using the finest products available. They are all grown in USA and are double blind tested using 2 different testing facilities completely independent from one another. We use high quality MCT Oil for bio availablilty and a higher absorption rate. Many other companies use hemp seed oil or palm oil which is cheaper and does not deliver nearly as well. We use industrial grade Hemp for a full spectrum oil that is grown in Colorado and must pass the strictest quality guidelines in the industry. We use the most raw, yet beneficial form of hemp extract. The terpenes, plant fats, lipids, and phytocannabinoids remain present in the finished oil. Our extraction methods are some of the top in the industry. We use Kosher 190 proof alcohol for extraction. Unlike CO2, Alcohol extraction maintains the entourage effect and keeps more terpenes in the finished oil without being unhealthy. In 1994 I (Robert) was hit by a diesel truck and had to have back surgery. i had a construction job that I was no longer able to do and was bed ridden for the next 3 months. I had 2 little girls at the time and they were 4 & 6 years old. This dramatically effected their life as well as mine. I was put on pain pills (Norcos) just to function and play with my kids without being in excruciating pain day and night. Soon I was addicted to pain pills. I could not function without them. One day I decided enough was enough and just like that I quit taking my pills. My pain management doctor was not happy with me, however I didnt care anymore. I was completely miserable. Not only was I in an immense amount of pain, I was mentally miserable as well. My relationship with my wife and with my kids suffered. and continued to go downhill fast. I was grumpy, edgy, argumentative and just an all around miserable person. I started smoking marijuana and suddenly I noticed my pain was tolerable and my mental state was back to almost normal. The only problem was that If I wanted to feel normal, I had to be high. Sounds like quite the contradiction, I know. However, I believed then as I believe now that anything from nature is better than anything from Big Pharma. 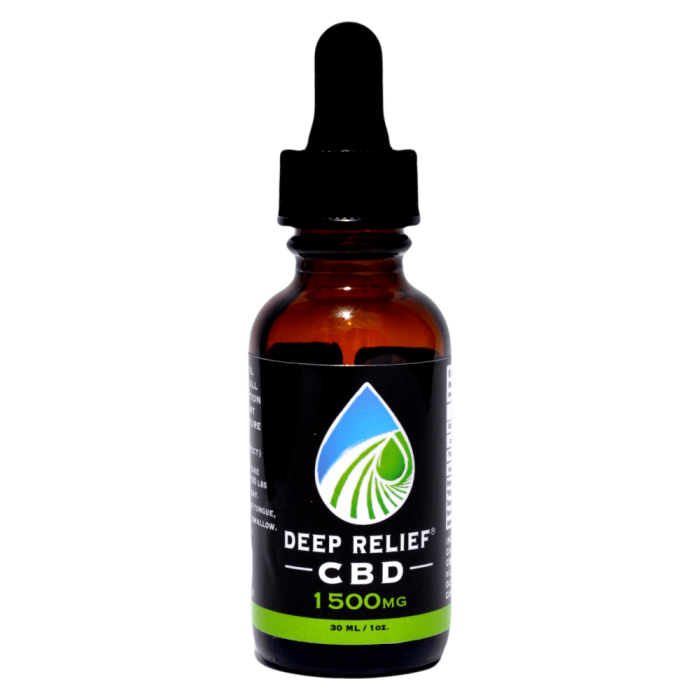 Many years later I was introduced to CBD and my life changed yet again. The benefits from CBD were as good or better than the benefits of the THC and the best part was that I NO LONGER HAD TO BE HIGH TO BE PAIN FREE! I was extatic and felt like someone had given me my life back! The only problem I now had was that I had a problem finding high quality Full Spectrum CBD that was made in the USA, double blind tested, made from all natural ingredients and had a low or no THC content! Which is why we decided to produce our own product that met our almost impossibly strict guidelines. Introducing Deep Relief Hemp by Simply Pure Labs. From Our Family To Yours…………..